Over the last few years we’ve been noticing lots of changes and improvements in the kosher restaurant world, and while many of the trends below focus majorly on happenings in the metro NYC area, these are trends that we believe will have an impact on restaurants beyond the large Jewish enclave in the American Northeast and have a ripple effect across the US, Israel, and beyond. 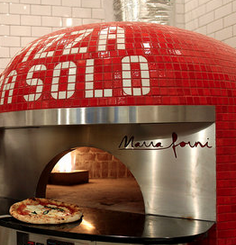 2013 saw the opening of 2 artisanal kosher pizza restaurants in midtown manhattan: Pizza Da Solo and Raffaello Pizza. The former, owned by the Prime Hospitality Group and located next to Solo (same owners), may make the best traditional Neapolitan kosher pizza, period. The latter, is a newcomer, around the corner from the Diamond District, serving Roman style pizza (rectangular) with various delicious flavors and toppings. Of course, this is in addition to last year’s transformation of the always crowded Bravo Pizza on Broadway into becoming kosher. They’re best known for delicious New York style pizza. Specifically not in the typically Jewish areas. 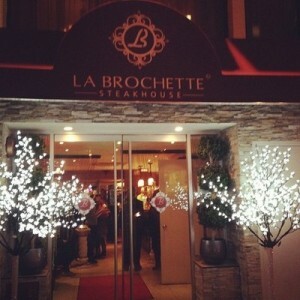 Looking for an inventive and decadent kosher meal, leave Flatbush & Borough Park. Pardes, near the Barclays Center, has been open for a few years now, miles from the nearest Jewish neighborhood. 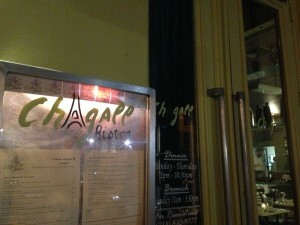 That gutsiness to leave the shtetls gave birth to more innovative restaurants this year: Chagall Bistro, a French steakhouse with amazing reviews that opened earlier this year in Park Slope; and Mason & Mug, a brand new bar with a kosher small plates innovative menu located in Prospect Heights. Traditional BBQ, aka “smoking meat”, isn’t something commonly found in kosher restaurants until recently. Smokey Joe’s in Teaneck, NJ has been pleasing Bergen County residents with their flavors for a few years now, but BBQ has truly exploded in 2013. 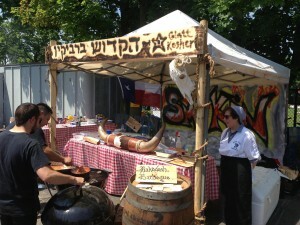 What was formerly known as “Hakadosh BBQ” (currently “Wandering Cue”), originally a pop-up BBQ event in Westchester County, NY hosted by caterer Ari White, turned into a year of appearances throughout NYC and beyond, especially at street fairs and events. One of those events was the 2nd annual Long Island Kosher BBQ Championship, where professional and amateur BBQers battled it out. Outside of the NYC area, Milt’s Barbecue for the Perplexed opened in Chicago to rave reviews by both Jews and non-Jews, truly a boon for the local Jewish community. Numerous NY kosher steakhouses in the news this year: The Prime Grill moved to a new, larger location further north in midtown east, in addition to giving “Prime at the Bentley” a permanent home at the Bentley Hotel (which was originally a pop up restaurant in late 2012). Mike’s Bistro announced that it is leaving the Upper West Side and moving to Midtown East. In addition to the aforementioned opening of Chagall Bistro in Brooklyn, 2 new high end kosher steakhouses opened their doors in the second half of 2013: La Brochette, a French steakhouse on Lexington Ave, replacing a previous kosher restaurant; and Reserve Cut, a beautiful, modern steakhouse opened up in the Setai downtown by Wall Street. 2013 also saw the close of J SOHO (formerly “Jezebel”) which was open for barely more than a year. The beautiful and quirky restaurant suffered from inconsistencies, poor reviews, and high prices, not to mention a naming controversy. Etc Steakhouse has taken over The Reserve Sushi & Steakhouse in Lakewood, NJ (this branch of the NJ restaurant is called Etc Squared). Most recently, the former steakhouse turned dairy restaurant turned Chinese restaurant, Solo, will be moving downtown to perhaps become a steakhouse yet again.